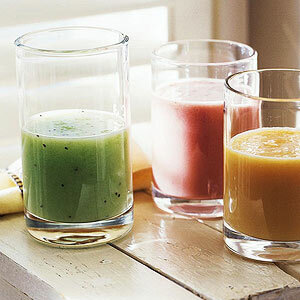 In a blender container, combine honeydew, apple, kiwifruit, sugar, and lemon juice. Cover and blend until smooth. Add ice cubes; cover and blend until cubes are crushed and mixture is slushy. Garnish with additional honeydew and/or kiwifruit slices, if desired. PER SERVING: 110 cal., 27 g carb. (3 g fiber), 2 g pro.